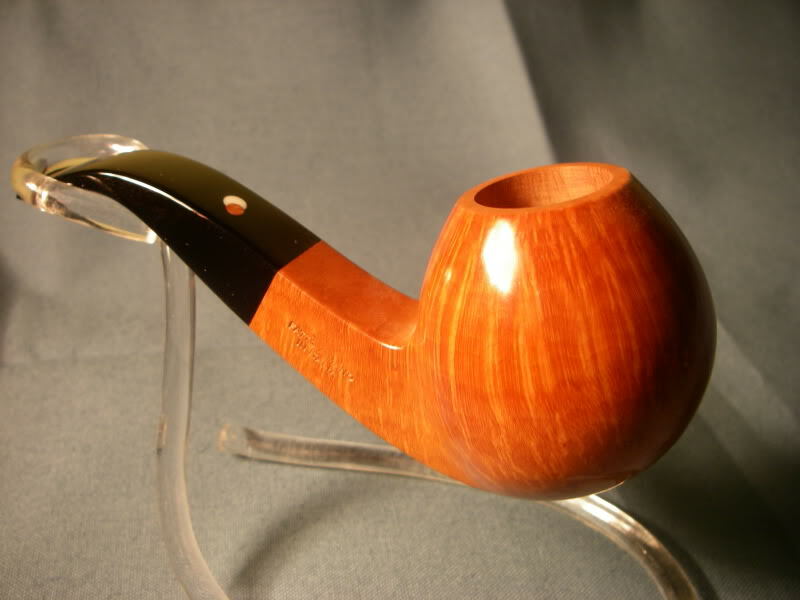 Carter Hall in a Mastro de Paja sandblasted brandy. Just finished smoking HU Nashville County in a smooth full bend 1977 Crown Coachman 215 egg. Part way through this bowl of Mid-1920s Half and Half in a tan etched medium bend 2001 Rinaldo Sahara 2 Acorn round at the shank, pointy at the opposite top. 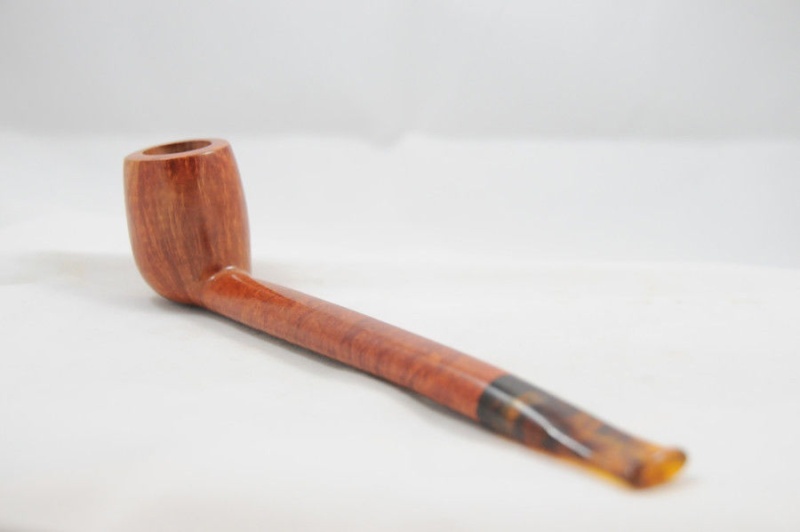 D&R Picayune in a Sasieni 4-dot Ruff Root sandblasted bent bulldog. Just finished smoking Jim’s C Blend in a smooth medium bend straight grain 2001 Karl Erik Ekstravagant brandy with a leaf engraved silver band. St. James Flake in a straight sandblasted pre-transition Barling Exel 249 Fossil T.V.F. black billiard with a silver band and military bit. Sillem's Councilor 1695 in a Dunhill Root bulldog. Just finished G&H Dark Flake Unscented in a 2013 bent MM Missouri Pride Legend. Next is Tilbury in a 2002 smooth Rinaldo Silver Line 3 EGER 05 paneled horn. 2011 Villiger Maryland #333 in a 2004 smooth long stem Canadian Trever Talbot Ligne Bretagne Faite en Bretagne 4/3. Brown Irish X in a GBD Fantasy bent bulldog. Drew Estate's Heirloom Cherry in a Working Man's Pipe from CLLong Pipes. Three Year Matured Virginia in a Castello Sea Rock cutty. Now smoking the best durn tobacco made today: Strang in a 2003 smooth medium bent straight grain Ardor Venere Extra signed by Dorelio Rovera Dublin. Part way through this bowl of Boswell’s Northwoods in a black pebble finish straight 2003 Cavicchi C. Fatto A Mano lovat. D&R Ramback in a Mastro de Paja bent Dublin. A couple minutes away from smoking Edward G. Robinson's Pipe Blend in a 1982 black sandblasted paneled slight bend Savinelli flat bottom sitter. Just finished smoking Sergeant Miller’s Inker’s Mixture in a 1970s slight bend black sandblasted Comoy's Silver Cloud 624 sitter. Next is Virginia Spice in a 1979 brown grain etched Lane Era Charatan's Make medium bend saddle stem calabash shape 483DC. Still working. Listing this early: Old Dark Fired in a smooth medium bend post-WW2 Pre-Republic Peterson Shamrock Killarney 9BC with a sterling silver band. Half way through this bowl of MacBaren Navy Flake in a light brown 1979 rusticated medium bend Italian Sir Jeffrey Dublin sitter with a flared top and yellow stem. Firedance Flake in a rusticated Peterson Sherlock Holmes Deerstalker. Pipers pleasure in a Peterson Dracula.